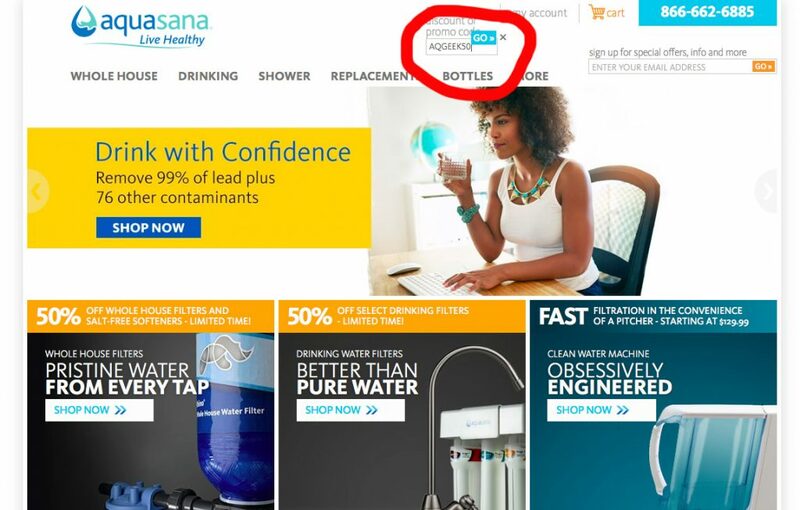 Home Water Filters Aquasana Water Reviews Aquasana Shower Filter: Is It WORTH The Cost? 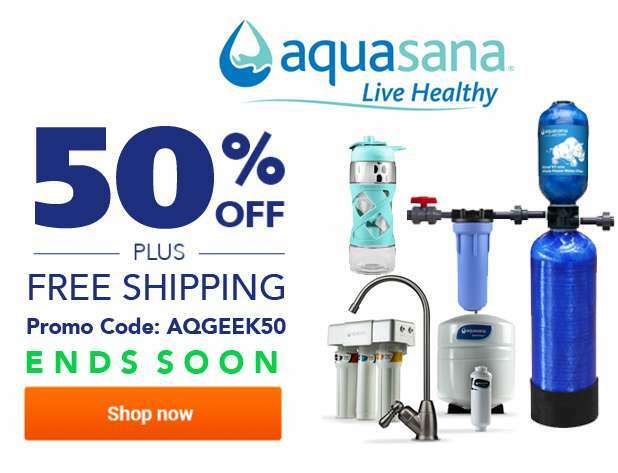 Aquasana is a popular water filter company based in the United States. 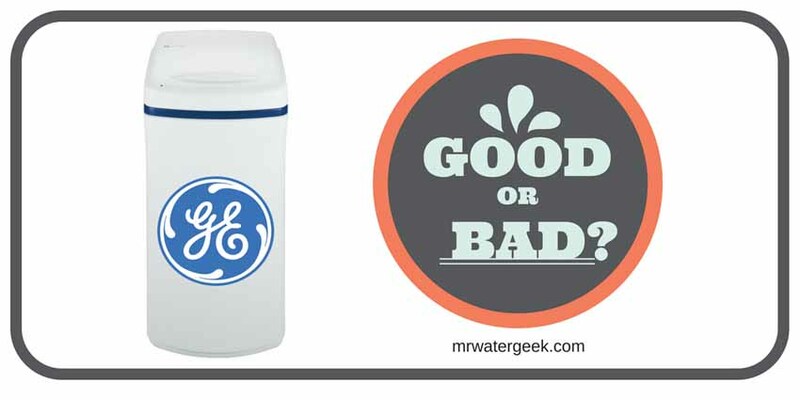 They develop many products that create better water quality in all areas of your home. The product range includes drinking water filters, shower filters and water filtration systems for the entire house. These are capable of removing more than 60 harmful contaminants from the water. Aquasana products remove pollutants from your water while leaving you and your family with the pure minerals. 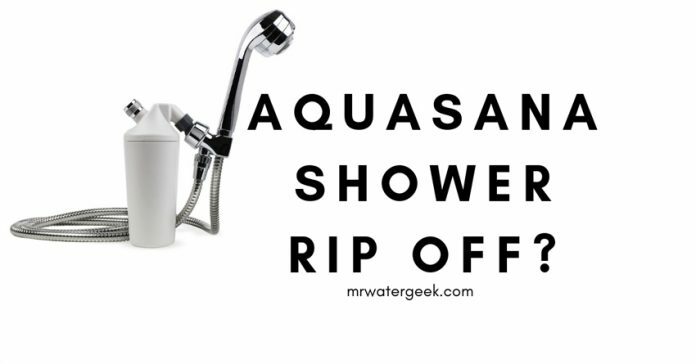 Aquasana products remove chemicals such as chlorine, lead, VOC, THM, MTBE and bacteria such as Gardia and Cryptosporidium from their shower and drinking water. 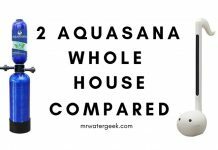 Filters for the entire Aquasana house remove these chemicals and bacteria from all the water that enters your home. 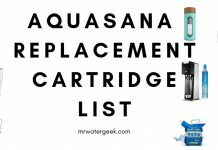 All Aquasana replacement product filters are easy to change and all customers have access to the “Water for Life” program. When you participate in the water for fife program, you will automatically receive a new set of filters if they need to be renewed (depending on the needs of your family) and sent directly to your door. So you do not have to remember when to change your filters. Filters are also charged at a discounted price. However, with the Water for Life program, they automatically upgrade the warranty of your product to a “lifetime warranty,” which means they will replace each part for free. What is the flow rate of the AQ-4100NSH, AQ-4105 and AQ-4100 ? Can I use my own shower head or handle with the aq-4100? How will I know if the Aquasana shower system will fit my pipes? Must I pay a plumber to install the system? How do I know when I have used 10,000 gallons and the shower filter needs replacing? 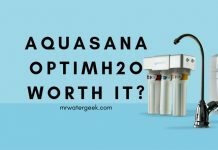 My Aquasana Water Filter Review: Is it Worth it? 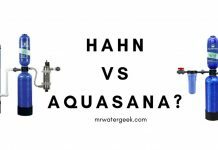 The Aquasana shower filter improves air quality, improves the pH of the water and removes over 90% chlorine from your shower water. It is made with patented copper, zinc media and coconut shells. The natural carbon in coconut shells filters out chlorine and other harsh chemicals, while copper / zinc media further reduces chlorine and improves the pH of the water. Easy to install. It is easy to attach to the shower line. Durable filters that typically need replacing twice a year. It helps to improve the quality of your bath products, hair treatments as well as helping you use less shampoo, conditioner, soap and body lotions. Removes more than 90% of chlorine in the shower water. Filter life is 6 months. 12 month / 1 year warranty. Aquasana’s upflow design eliminates drains and stops the filters getting clogged. 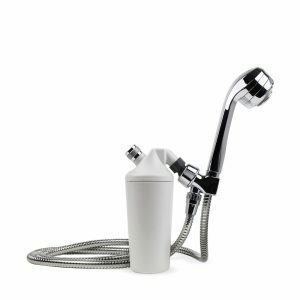 of media, maintains shower head height and water pressure, and increases water contact time for superior filtration and results. Removes more than 90% of chlorine. Copper zinc + carbon media. You will need the Aquasana AQ-4125 shower filter replacement. 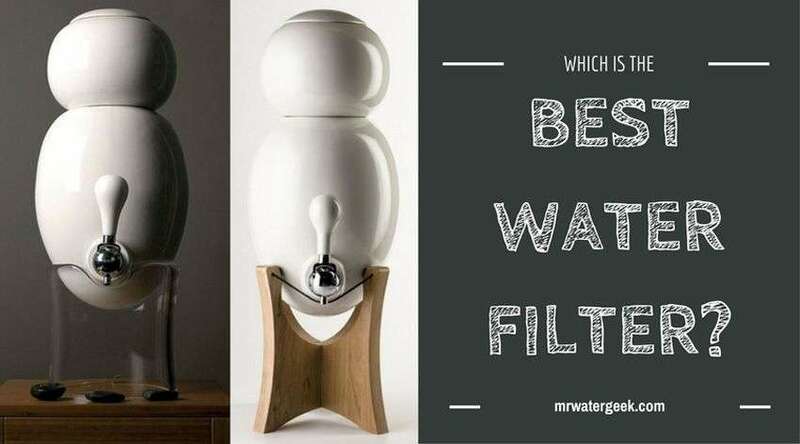 These filters are BPA-free, reduce chlorine and harmful chemical vapors, enhances pH balance and has 2-stage filters. It is very quick and easy to install an Aquasana shower filter. 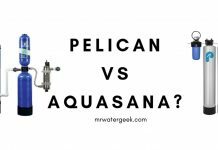 However, if you’re still unsure here is a quick video that takes you through the Aquasana shower filter installation process. Yes, you can use your own shower head. 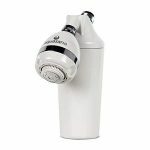 The AQ-4100NSH is the right model for people using their own shower heads. 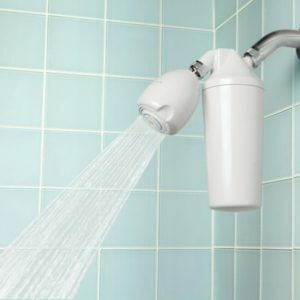 Keep in mind that the shower head must have the same 1/2 inch connection as the standard shower heads and the ideal flow rate would be 2.5 gallons per minute. If your shower head processes more than a flow rate of 2.5 gallons per minute, the quality of the filtration may deteriorate a bit. By increasing the flow rate when changing the shower head, the contact time with the medium is reduced and the quality of the filtration is going to be less. Reducing the flow of the system to another shower head, or using a shower head with an off switch can damage the system and void your warranty. Most showering connections are 1/2 inch, which means that Aquasana shower systems fit into the shower hose in most homes. Aquasana shower systems are very easy to install and you can do it yourself in a few minutes. No plumber needed. However, if you have questions or need help, you can get assistance from the technical support staff on 866-662-6885 and they will guide you through the installation process. If you drink some water during the shower, there is no health risk. However, Aquasana does not recommend using the shower system as the main source of water because it is not designed to be a hydration system and has only been tested under shower conditions and regulations. Aquasana shower systems have been proven to eliminate 91% of chlorine from 10,000 gallons of water. This means that you can take 400 10-minute showers. Or take 267 15-minute showers. This offer is ENDING SOON and not available anywhere else so take advantage of it today. 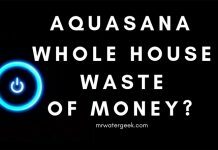 Especially if you think you might want to get an Aquasana Shower Filter in the future. I have written lots of reviews about shower filters and this is by far one of the most powerful. It is capable of removing over 60 different harmful contaminants from water. However, even though it is very powerful at removing a lot of contaminants it also re-mineralizes (i.e. adds back minerals) to the water. This is means it is a great choice for those who suffer from hard water and find that it’s affecting their skin or hair. Using the Aquasana shower filter means that you will have good quality water that is contaminant free. 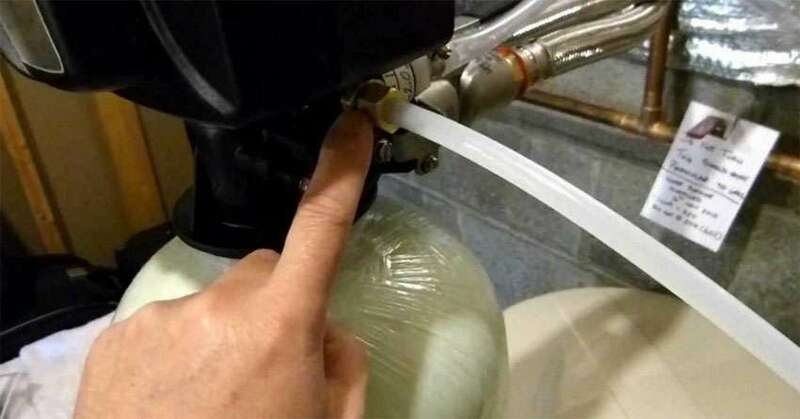 Next articleAre These Water Softener COST To Install MORE Than You Expected?